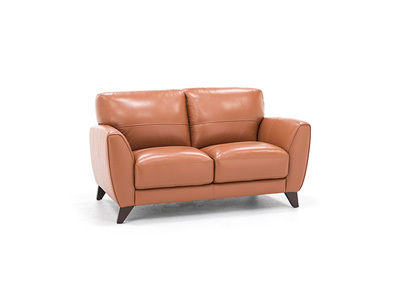 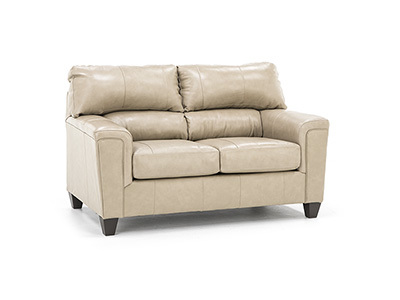 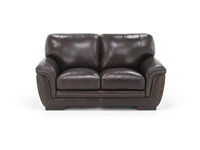 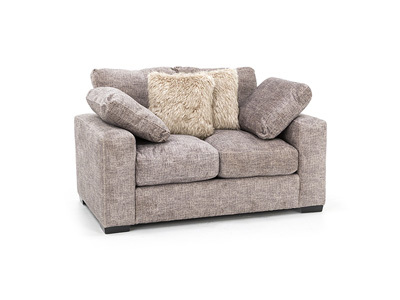 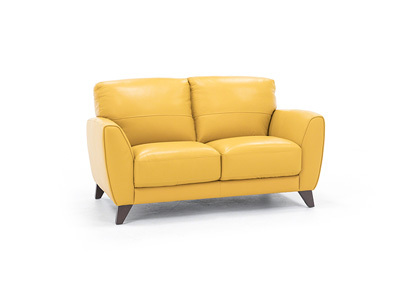 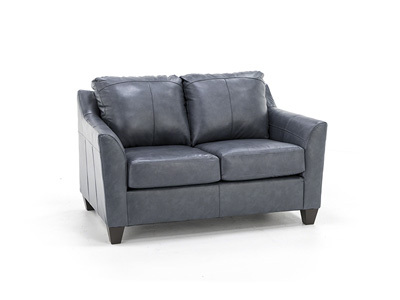 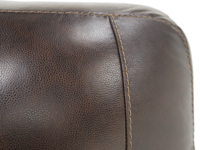 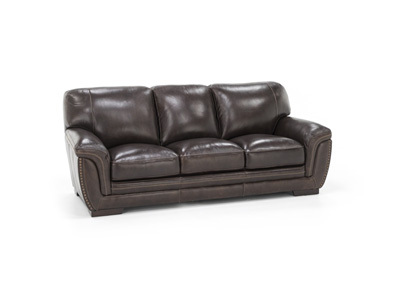 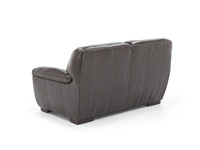 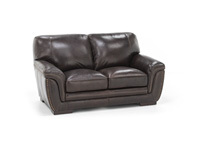 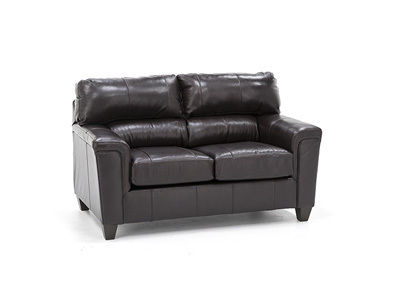 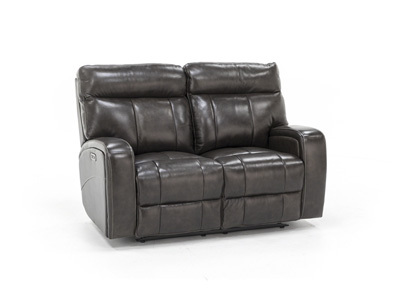 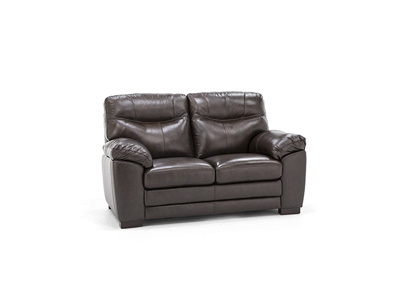 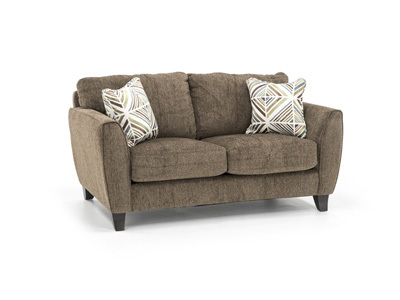 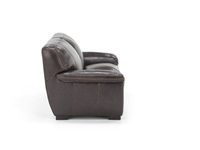 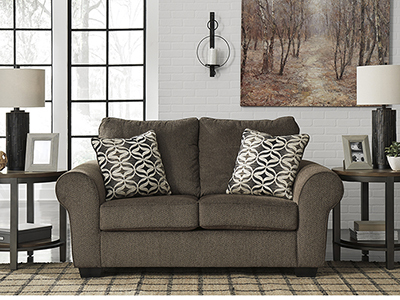 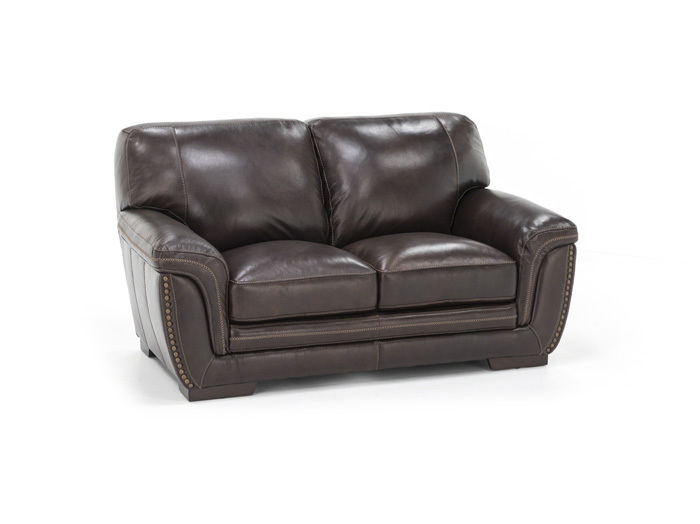 The Mikaela loveseat is a blend of everything you love: leather, comfort and quality. 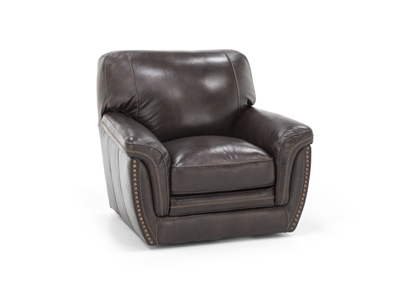 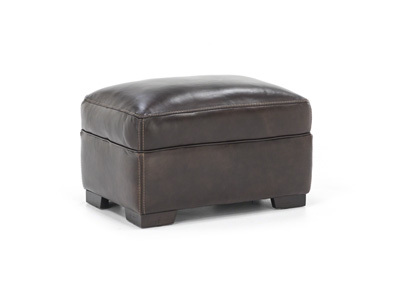 Thick yet soft genuine cowhide is applied to all front-facing areas, with matched leather-like synthetic on sides and backs. 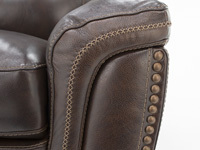 The design details of nail head trim and cross-stitching complete the look.